Russia’s deputy Prime Minister Dmitry Rogozin tweeted a video showing a humanoid robot called “FEDOR” shooting guns with both hands. FEDOR, which stands for Final Experimental Demonstration Object Research, is being developed by the Advanced Research Fund and Android Technics under a technical assignment from Russia’s Emergencies’ Ministry. 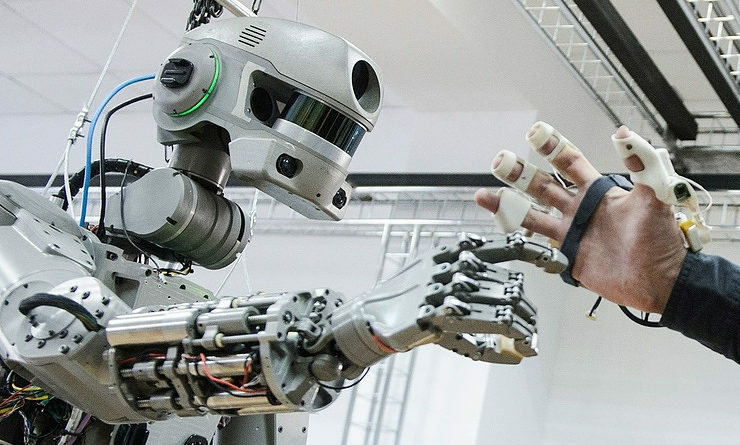 According to the Russian News Agency TASS, FEDOR is more than a gun-shooting robot. The Russian News Agency reported that FEDOR has previously demonstrated its abilities to drive a car, stand on one leg, insert the key in the lock, open the door of an apartment, screw in a light bulb and switch on the light. The Russian News Agency added that FEDOR’s developers are intending to make this robot perform other assignments. The Russian Government, according to TASS, is planning to make FEDOR the sole passenger of Russia’s new spacecraft called “Federatsiya” in 2021 during the spaceship’s first flight. CEO of Android Technics Alexander Permyakov told TASS that FEDOR will acquire additional abilities through self-learning. “The self-learning procedure is not incorporated in the model, which is now being demonstrated. In the future, it will necessarily appear because self-learning is a major direction of the development of autonomous robotics,” the CEO of Android Technics said.